Tagged with Austria, CEU, Hungary, Ignatieff, Lex CEU, TUM, Vienna. Central European University has announced the opening of its Vienna campus, which marks an important milestone in the battle between the George Soros-backed institution and the Hungarian Fidesz government. In a statement, the CEU said the six-storey building in the centre of “Vienna’s multicultural 10th district” would open in autumn 2019. It will remain an interim location for CEU, but talks with the city of Vienna are reportedly continuing regarding a permanent location in the area. Michael Ignatieff, president and rector of CEU thanked Austrian leaders for their support, and described the city as a “vibrant intellectual atmosphere”. 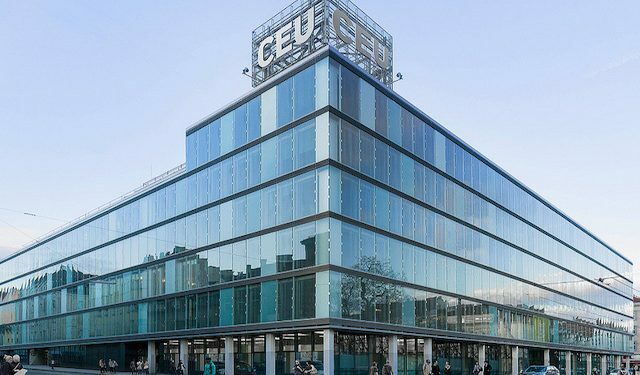 “Thanks to the support of mayor Michael Ludwig and former mayor Michael Häupl, chancellor Sebastian Kurz, minister for education Heinz Fassmann, and so many others who are committed to academic freedom, this move to Vienna will give CEU a chance to grow, expand and prosper in the vibrant intellectual atmosphere of a great city,” he said. The aim is not to replace the Budapest campus – at least not initially – but to become a “a bi-campus university”, with technology utilised to connect the campuses and their respective students and staff. In 2019, new students will be admitted to the Vienna campus, though teaching will continue for students already in Budapest. From 2020, more students and staff will be located in Vienna. This change was “forced” by the Lex CEU law imposed by Hungarian prime minister Viktor Orbán, which forbids the US-registered courses offered at CEU recruiting new students to the Budapest campus. This law has been widely understood to be a protest against the perceived influence of US financier George Soros, who has long been the victim of anti-semitic slurs and conspiracy theories. The confirmation of a new campus comes only a week after a potential break-through was sensed, following political pressure applied on Hungary’s Orbán by Manfred Weber, the newly elected leader of the European People’s Party group in the European Parliament in Brussels. As such certainty remains illusive, the planning of the Vienna campus has kept its target to accept students this year.